The knee-brace Kneo is intended for medical use at the knee suffering from osteoarthritis. It works by shifting the load line passing through the knee joint medially or laterally as needed. The forces needed to relieve the stress on the meniscus are generated by standing on a fully-extended leg. The indication is provided by the physician. The knee brace works by shifting the load line passing through the knee joint medially or laterally as needed. The other compartment is correspondingly relieved. The forces needed to relieve the stress on the meniscus are generated by standing with an outstretched leg. The knee-brace consists of a foot piece and a side rail forming a joint in the ankle area. Attached to the end of the side rail is a movable pad that is equipped with a fleece cushion and is fastened to the lower leg with a Velcro strap. The brace is available in four different sizes. These differ in the ankle height and the lower leg bar length. 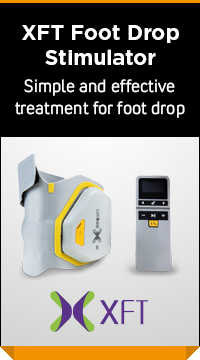 The measurement is made by the sole of the foot up to the middle of the ankle.